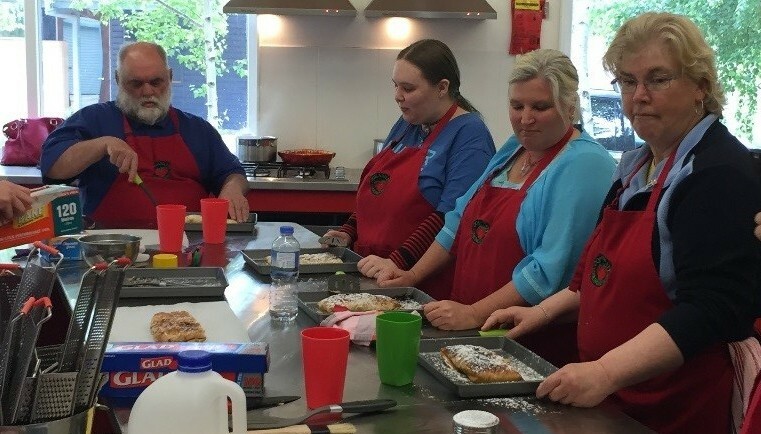 10 tenants from our Bowral area tenants just finished up a 4 week series of cooking classes and they loved every minute of it according to Tenancy Officer Emma, who is also their local Tenant Participation coordinator. Emma spearheaded the project and this is the second time in as many years that a wave of tenants have been able to take part in such a program. Held once a week over 4 weeks, tenants ranging from 18 through to 80 years attended 3 hour sessions. 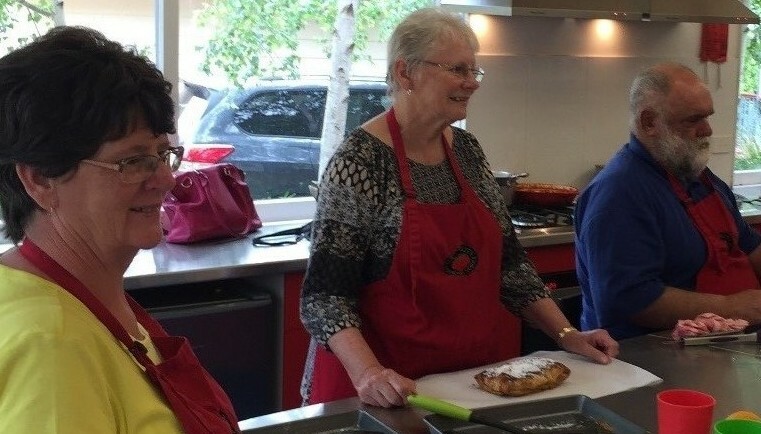 Hosted by Cookability located within the Kazcare Community Centre – this was made possible thanks to the support of Your Angel, a local charity. Amy from Cookability led most of the sessions and all the tenants enjoyed her style of instruction and vibrant passionate personality. Dishes that the tenants worked on creating included traditional meatballs, apple strudel, Thai food, rocky road and evening dumplings! Emma explained that Amy doesn’t force her tastes or how it ‘should’ be done onto others, she allows each participant to take their own food journey. Which for some starts with the basics such as cooking pasta well and experimenting with seasonings. The idea behind these sessions started over 1.5 years ago when Emma wanted to set up a community kitchen of sorts. Whilst looking into options she stumbled across the cooking workshops running for kids and adults at Cookability. She touched base with Alex and introduced the idea at the next Tenant Participation committee meeting (where our tenants plan activities within community to build knowledge and skills, socialise and find ways to give back). Emma hopes to see these sessions continue and she is currently working on trying to source places for younger tenants to attend some workshops throughout the school holidays. Her vision is that overtime the skills imparted onto tenants within these workshops can carry across and bring the community kitchen to life – with it run independently by tenants and other community members as a way to give back and support others in need.